Ladies, January is known as the month of regret after enjoying the many naughty culinary delights Christmas has to offer. If you’re feeling less than great right now, you needn’t fret because we have some delicious and healthy energy snack bars for you to enjoy – guilt free! 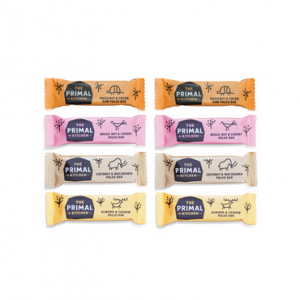 We have teamed up with the lovely people at health food brand The Primal Pantry to offer all Girl Meets Dress customers FREE healthy raw paleo snack bars. The Paleo approach to eating is a return to whole and simple foods, with minimal refined sugars and carbohydrates. This is a diet rich in foods that were consumed as humans were evolving thousands of years ago. In order to eat Paleo method, consume a diet high in lean meats, vegetables, fats and seeds. Avoid dairy, grains and processed sugar altogether. The result is a diet most compatible with the way our bodies are innately programmed to process food and will lead to improved health outcomes, increased energy, and a reduction in blood sugars that can cause cardiovascular disease and diabetes. 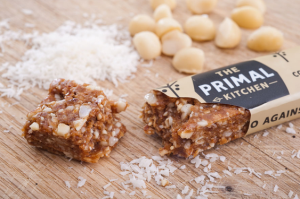 Forget the winter blues – try your tasty free Coconut and Macadamia Raw Paleo Bar and feel fantastic when you hire your dresses from Girl Meets Dress! 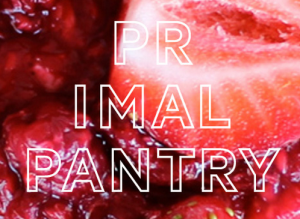 All of The Primal Pantry’s bars are made in the UK with 100% real food; gluten, grain, refined sugar, soya, dairy, GMO and vegetable oil free, made by hand and cold pressed. Posted January 7th, 2015 in Partner, Partner Offer. Tagged: diet, Dresses, Energy, Fashion, food, free, fruit, Girl Meets Dress, gluten, Health, healthy, nut, offer, paleo, paleo diet, sample, snack bars, snacks, style, The Primal Pantry.